WELCOME TO PASILLA MEXICAN GRILL! 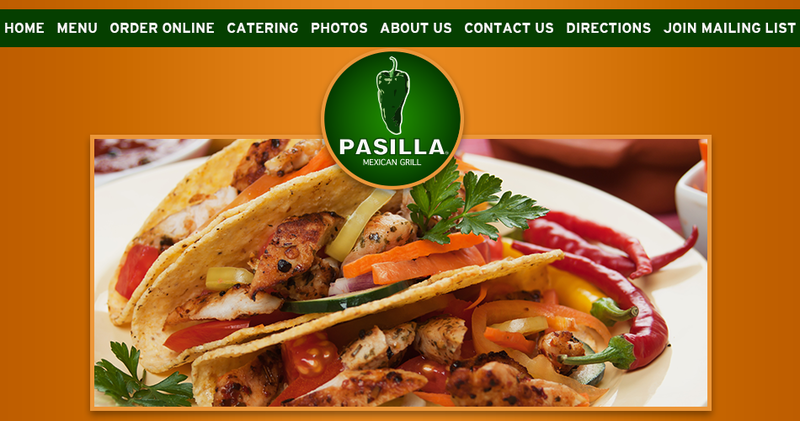 At Pasilla Mexican Grill, we take pride in our wide variety of Mexican food. We offer everything from Burritos, Bowls, Tacos, Quesadillas, Gourmet Salads, fresh homemade Guacamole, and we have a full salsa bar with many fresh house made salsas to try! Here at Pasilla Grill, we use the freshest ingredients in all of our food. We use top shelf meats, poultry, and fish and always use organic when possible. All of our suppliers and growers are local to ensure the freshest and healthiest food to our valued customers...Enjoy!! Please click here to view our menu, and fill out our contact form to have someone from our wonderful staff call you!